Frizzy and messy hair is always a problem for me and the hot and humid weather is not helping at all. 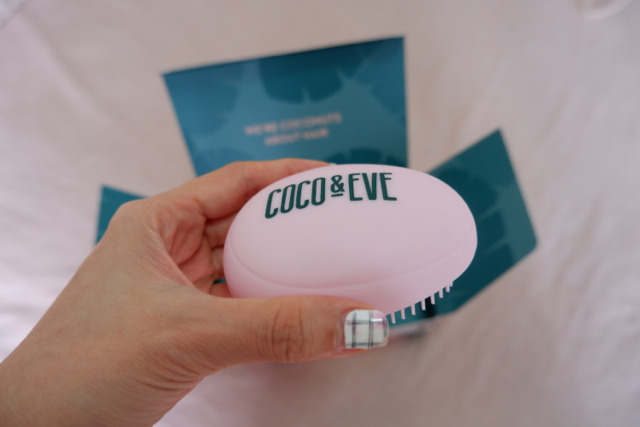 Luckily for Coco & Eve Like A Virgin Super Nourishing Coconut & Fig Hair Masque and Tangle Tamer Brush, I am able to tame my unruly hair condition and look presentable when I work or go for media events. 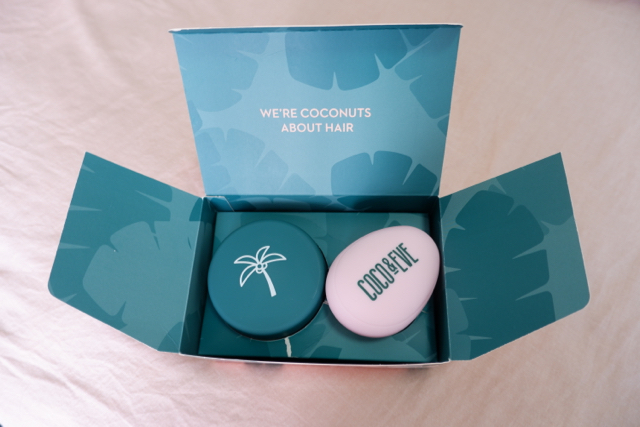 The packaging is very pretty with a tropical feel, so if you are searching for a present for your loved ones or friends, this is a wonderful choice. Let’s take a look at what is inside. I am a big fan of pink colour so when I saw the pink coloured Bonus Tangle Tamer Brush, my heart melted. Omg… looks so feminine and sweet! It is designed with a two tiered bristle technology to detangle hair within minimal breakage and without damaging hair like regular brushes. At the same time, it works very well in detangling my wet hair after showering. 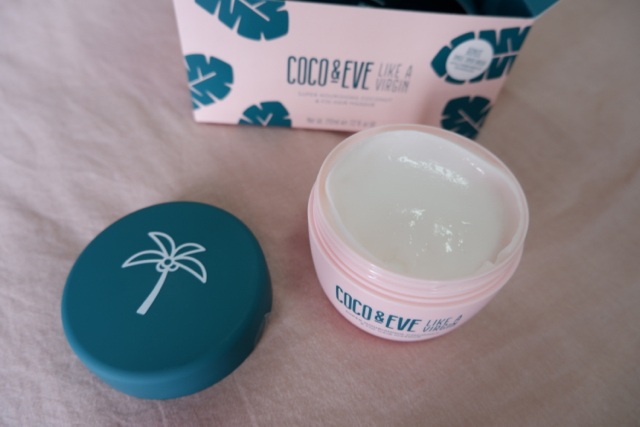 The Coco & Eve Like A Virgin Super Nourishing Coconut & Fig Hair Masque is to die for. I also look for products that do not contain damaging & drying paragons, phthalates and sulfates. At the same time, the hair masque is gluten free and vegan friendly as well. It contains raw virgin coconuts and fig which nourish the hair while shea butter hydrates it. Also the argan oil and linseed prevent split ends, tame frizz and add shine to your locks. In fact, after one usage, I found that my hair actually became smoother and fell in place nicely. All you need to do is to apply the hair masque after u shampoo and rinse your hair. Wait for 10 minutes before rinsing it away. For a more intense treatment, you can apply the hair masque to dry hair and leave overnight. But do remember to rinse your hair in the morning though. 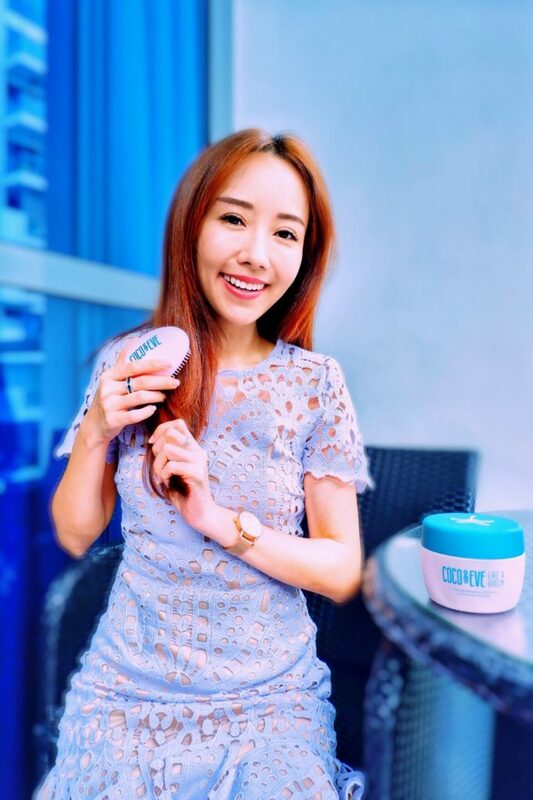 To coat your hair evenly with the hair masque, use the Tangle Tamer to brush the product through your hair & glide through tangles in the process. 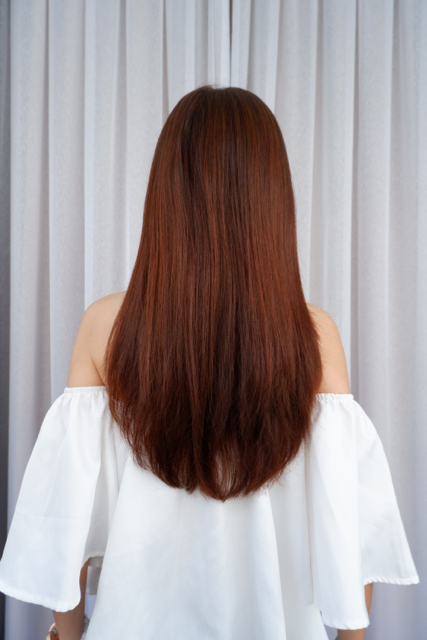 For dry hair, use it 2 to 3 times a week and for normal hair, use it 1 to 2 times a week and for oily hair, use it once a week and only apply it at the ends of the hair. Just take a look at my before and after photo to see the difference! I am completely sold by this hair mask and detangler comb after seeing the results. This set is so perfect for me as a home haircare maintenance as I don’t have much time to go to hair salons regularly for hair treatments. The only drawback is that the size of the product is not travel friendly. It will be good if the hair masque comes in sachet forms so that I can bring a few sachets along when I travel. Anyways, don’t just take my word on how good the product is. 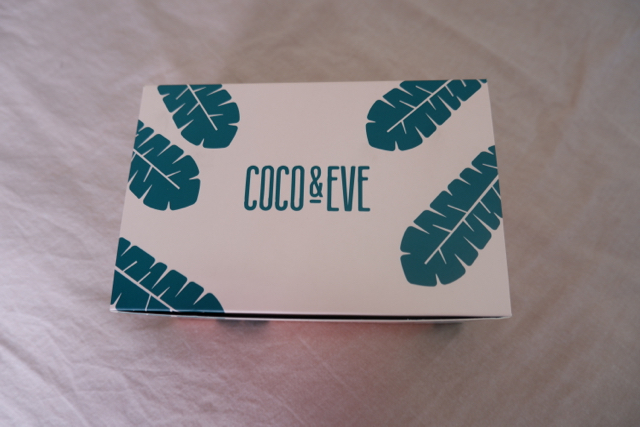 Give it a try by going to cocoandeve.com to buy the Coco & Eve Like A Virgin Super Nourishing Coconut & Fig Hair Masque. This is additional bonus… when you finish using the hair masque, do make sure you find the URL at the bottom of the tube which entitles you to enjoy 25% off your next masque!